Next term is going to be festive! Medieval carols, music by Vittoria, Sweelinck, Poulenc, Tchaikovsky, Britten and several new arrangements by Harvey Brough. With soloists from London Voices including Clara Sanabras, James Murray, Piano and Organ and the Young Dissenters youth choir. 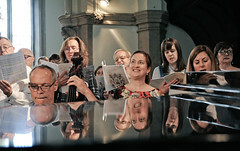 First rehearsal: Tuesday 13 September, sign-up from 7pm for a 7:30pm singing start, St Luke’s Church Concert: Sunday 4 December, 7:30pm, St Luke’s Church. Come and join us. 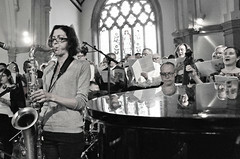 We are recruiting young singers to join the Young Dissenters choir for concerts this term. If you are interested, please contact us via the contact box on the right. The Young Dissenters are led by Harvey Brough and Naomi Hammerton. We will be meeting at St Matthias Church, Wordsworth Road, Stoke Newington, N16 8DD on Thursdays (3 45 pm – 5pm) from the 15th of September. 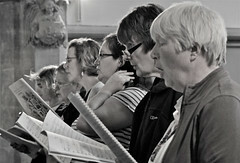 All sessions are FREE to all singers, thanks to the generous sponsorship of Chorus of Dissent. 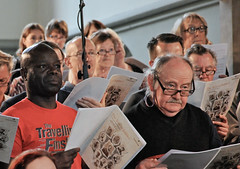 We are the community choir of Holloway, London.